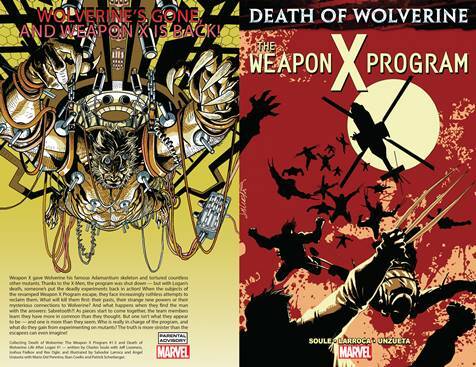 Collects Death Of Wolverine: The Weapon X Program #1-5, Death of Wolverine: Life After Logan #1. The Weapon X Program has been restarted -- but when its subjects escape, they face increasingly deadly attempts to reclaim them. What will kill them first -- their pasts, their strange new powers or their mysterious connections to Wolverine? And what happens when they find the man with some answers: Sabretooth?! As pieces start to come together, the team learns that they have more in common than they thought. Coincidence, or the sign of something bigger? One team member isn't what they appear to be -- and one is more than they seem. But who is in charge of the overall program, and what do they gain from experimenting on mutants? And how do the escapees tie into something more sinister than they could possibly imagine?